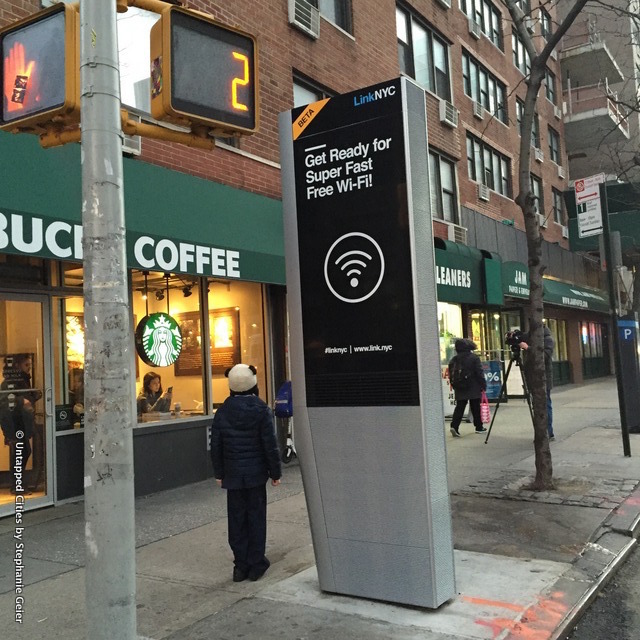 Recently, LinkNYC shared with us their list of over 100 NYC Fun Facts that show up every now and again on their towers dotting the city. Unsurprisingly, the city’s interesting history reveals a multitude of fun facts. So as not to overwhelm our readers (and keep you on your toes), we’ve decided to group together the secrets, starting with 13 facts pertaining to the geography and population size of the city to help put in perspective just how big 8.5 million people really is. About 1 in every 38 people living in the US lives in NYC. Ancient Rome was 8 times more densely populated than modern NYC. If Manhattan had the same population density as Alaska, only 28 people would live there. There are more undergraduate and graduate students in NYC than there are people in Boston. The world’s population could fit in the state of Texas if it were as densely populated as New York City. Over 600,000 dogs live in New York City. NYC has approximately 4,000 street food vendors. About 300,000 pedestrians pass through Times Square every day. 900 fashion companies are headquartered in NYC. 15,152 life forms have been identified on the NYC subway. 14% of NYC is parkland. Next, check out Colorful Map Depicts What Languages New Yorkers Speak at Home and see this interactive map of When Citi Bikes Are Faster Than Taxis in NYC. where can I get a list of the NYC Fun Facts you got from LinkNYC. Thank you!